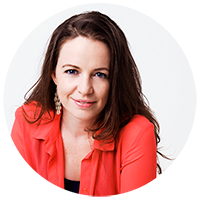 Janine Tait is an internationally qualified beauty therapist and nutritionist with over 30 years experience and a respected leader within the emerging Slow Beauty movement. Janine’s training programmes inspire and empower therapists to develop a holistic approach to skincare with a focus on dermo-nutrition, wellness and total body health. See www.janesce.co.nz for more information. WHO IS JANESCE SKINCARE TRAINING SUITABLE FOR? This training is exclusively available to approved Janesce stockists. We love to partner with clinics and therapists that are genuinely intentional about developing a holistic approach to skincare with their clients. CLICK HERE to find out more about becoming an approved Janesce stockist. WHAT WILL I LEARN DURING JANESCE TRAINING? The Janesce range embodies a philosophy of holistic skin health and total body wellness – naturally. Our priority and interest lies in the treatment and support of the skin as an organ. It is a full immersion wellness experience, which combines science, nature and beautiful healthy food. This programme gives you the opportunity to gain specialised skills and practical knowledge that would normally be unavailable to most beauty therapists. Upon successfully completing the training will receive a Janesce Skin Health Therapist certificate to display in your clinic. An in-depth understanding of the relationship between skin health and nutrition and lifestyle. The key plant concentrates at work in the Janesce skincare range and their unique function for skin health. How to perform a beautiful sensory experience facial treatment using the Janesce skincare range. How to inspire your clients towards positive lifestyle changes through beautiful food, recipes and inspiration. An online introduction to Janesce. A series of sixteen videos introduce you to the Janesce story, philosophy, product range and facial treatment. READ MORE here. WHAT ARE THE BENEFITS TO ME AS A THERAPIST? This uniquely comprehensive in depth training will inspire you personally to make positive lifestyle changes and will empower you to help your clients to achieve genuinely transformative results. If you wish, you can further develop your skills in treating skin disorders. Janesce graduates often end up doing more specialised consulting work in their own clinics. 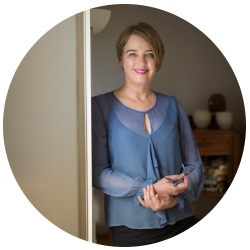 The face-to-face training is supported with lots of tools, handouts (menus and recipes) and access to Janine Tait’s team for personalised advice for your individual clients between trainings. We will prepare for you a beautifully presented and nutritious breakfast, lunch, and morning and afternoon tea each training day. There is no cost for the training for approved Janesce stockists.